IT departments are aimed to design and implement technology strategies of the company in the short, medium and long term, identifying key technological assets. Data Networks and Datacenters (or CPDs) have become the heart of business in all types of organizations and business sectors, from government to companies in the electrical, financial, insurance, telecommunications sector. It is essential, therefore, that technological strategies are guided by side to achieve high levels of availability of the Data Network and Datacenter and other tools to get the performance analysis of network traffic and security have maximum visibility of network traffic flowing in the physical network and the virtual environment Datacenter. The new strategies of visibility must not only overcome the limitations and problems associated with SPAN ports (packet loss, wide band limit, CPU consumption, limited number of SPAN ports) but must include a smart networking tool that give each analysis and network security only traffic you need. 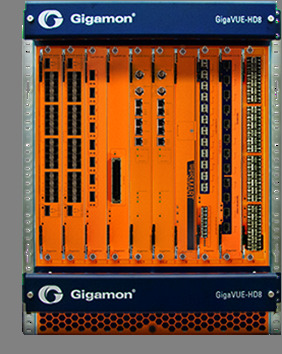 Gigamon Visibility Fabric is an innovative architecture that provides dynamic visibility of traffic across communications networks. Visibility Fabric consists of a distributed intelligent switches that provide an advanced level filtering, and other capabilities as reducing the size of the packet header and payload removal, labeling, removing duplicate network packets. The heart of Visibility Fabric is patented Flow Mapping identifies and directs network traffic to monitoring tools through user-defined, so that each monitor tool receives only the traffic you need rules. 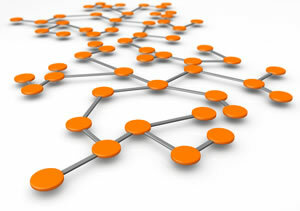 High Visibility and Control network traffic. Increases the reliability of the analysis tools. Modular, scalable and high capacity. Simple deployment and easy use. Appliances have advanced aggregation capabilities, intelligent filter (Flow Mapping), replication and modification of traffic. High Density Family: HD8 (2.5 TB) and HD4 (1.2 TB), HB1: 16x1G + 4x10G. + HC2 GigaSmart and internal taps and even 96x10G. Family Low Density: GigaVUE2404 GigaVUE420, GigaVUE212. GigaSmart: Packet Slicing, Masking, Tunneling, Labeling, Header Stripping, Time Stamping, Traffic Balancing, De-duplication, GTP Correlation, NetFlow Generation.